Uluru-Kata Tjuta: of 19 Australian World Heritage sites this is one of only two that recognise the values of ‘living’ Aboriginal culture. Journalist Stan Grant once compared our Indigenous cultural heritage to the Vatican’s Sistine Chapel. Ironically, though Grant pointed to the Lake Mungo site in the Willandra Lakes as an example, Aboriginal people are poorly represented by Australia’s World Heritage sites. Torres Strait Islanders are not represented at all. Of 19 World Heritage sites across the country, including such wonders as the Great Barrier Reef and the Sydney Opera House, only two, Kakadu and Uluru-Kata Tjuta, recognise the values of “living” Aboriginal culture, alongside the breathtaking natural features in those areas. These are what UNESCO calls “mixed” sites, bringing nature and culture together. Australia’s two other such sites – the Tasmanian Wilderness, and the Willandra lakes – recognise archaeological records of Aboriginal people, along with natural values, but not contemporary Indigenous rights and associations. None of Australia’s three sites inscribed purely for cultural values recognises Aboriginal people. They are the Sydney Opera House, the Royal Exhibition Building in Melbourne, and a multi-component listing of convict sites across the country including Port Arthur in Tasmania. Aboriginal people rightly remain concerned, and often angry, that they were excluded from the original nominations of all of Australia’s World Heritage sites, natural, cultural and mixed. Yet they also remain deeply sceptical about the benefits of such listing. There has been some progress. Australia received enormous international credit for modifying, in 1994, the original Uluru-Kata Tjuta nomination to recognise living Aboriginal culture. But the real turnaround has been when Aboriginal people have directed these processes themselves. After years of work, Gunditjmara people succeeded in having the site of Budj Bim on Aboriginal land in southwest Victoria, placed on Australia’s Tentative World Heritage List. The site includes a remarkable system of eel traps around Lake Condah. Elements of these traps date back over 6,500 years. This is the first step in the long process of gaining World Heritage recognition. Remains of a 1,700 year old stone house at Budj Bim, Victoria. Recently the World Heritage Committee established a forum for Indigenous peoples – in the making since the early 2000s. With the issue now so firmly on the international agenda, Australia will come under intense scrutiny to lift its game regarding Aboriginal and Torres Strait Islander World Heritage. How might that be done? World Heritage sites are assessed against ten criteria across natural and cultural values. Originally highly Eurocentric, these criteria have gradually widened to become more inclusive, especially of Indigenous people. Uluru-Kata Tjuta has long been held up as the paragon of this shift. It was originally listed as World Heritage in 1987, solely for its environmental characteristics. It was relisted in 1994 to include Aboriginal values, recognising the importance of Uluru and Kata Tjuta to the Traditional Owners, the Anangu people. Today, the area is recognised for being one of the most ancient human landscapes in the world, including its spiritual dimensions. Unlike Uluru-Kata Tjuta, and, later, Kakadu, the Tasmanian Wilderness and Willandra are recognised for their archaeological and rock-art sites, rather than for their living heritage. Willandra, for instance, celebrates archaeological evidence that demonstrates an Aboriginal presence more than 40,000 years ago, in what was then a lush environment quite unlike the present semi-arid conditions. Such archaeological and rock-art sites are unquestionably important for the extraordinary history they contain, and Aboriginal people have a particular attachment to them as evidence of their ancient and continuing connection with their land. They are actively involved in management of these places for that very reason. Yet the cultural value of these sites remains defined by non-Aboriginal archaeologists, rather than Aboriginal belief systems or political aspirations. The Tasmanian Wilderness is recognised for being one of the last expanses of temperate rainforest in the world. It also includes evidence in limestone caves of Aboriginal occupation up to 35,000 years ago. Yet the listing fails to identify or formally recognise the relationship between that area – particularly the hand-stencil, rock-art sites – and Tasmanian Aboriginal people today. We are investigating what World Heritage might better deliver to Indigenous people. One of our major cases is the popular tourist destination of K’Gari (Fraser Island), given a World Heritage listing for its natural heritage in 1992. Some members of the local Butchulla community want Aboriginal heritage included in the listing. Many archaeological and Butchulla story sites at K’gari are unquestionably unique to the Butchulla people and have great significance for the community today. Takky Wooroo (Indian Head), the rocky headland that anchors the vast sand island in place, is one well-known example. Takky Wooroo (Indian Head) anchors the vast sand island of K’Gari (Fraser Island). However the Butchulla face hurdles in having this heritage recognised. The first is proving that their heritage is “better” than examples of Aboriginal heritage elsewhere. The second is demonstrating a continuous connection to it. Both of these criteria are central to the World Heritage process, but are legacies of an outdated approach to Aboriginal culture. The process lumps diverse Aboriginal people into one group, when we know that Australia was home to hundreds of different peoples. While the connection of the Butchulla to their heritage has already been recognised under Native Title, we would never assume that European cultures must remain unchanged since 1700 to be recognised as heritage. Our research is consistently finding that Aboriginal people are deeply sceptical about the benefits of World Heritage listing, despite efforts by State and Commonwealth governments to ensure Aboriginal input. One concern is that World Heritage is seen as universal, something for all people. But some Aboriginal people see this as diminishing their very particular attachment to places, such as the remains of Mungo Man at the Willandra Lakes, an ancestor of deep personal and community significance. ‘Mungo Man’ was repatriated to the Willandra Lakes, where the remains were found, in 2017.
and in 2012, it meant the Indigenous heritage values of Queensland’s Wet Tropics were recognised at a national level, which is vital to having them recognised internationally. We should also support Indigenous people to make their own nominations. This is what’s happening at Budj Bim. While non-Indigenous archaeologists are helping with the nomination, it is being driven by local Aboriginal people. They have linked the archaeological value to both ancestral stories, and to the Gunditjmara’s continuing efforts to maintain and protect their heritage today. What other possible sites are there? There are a great range of other amazing sites that we know are “out there”. Take the famed “Dreaming tracks” and “songlines” that criss-cross the continent, for instance. Tracing the travels of ancestral beings, they encode the locations of living places and sacred spaces, mapping the disposition of resources across the landscape and through seasonal cycles. They encompass some of the nation’s most dramatic natural features as well as camping places, sources of water, food and other resources, art sites and Indigenous sacred places, thus combining natural and cultural, tangible and intangible, and ancestral as well as living heritage. With suitable protection of secret-sacred information, as well as the routes themselves and the specific sites they incorporate, Aboriginal songlines and the routes of ancestor-heroes in Torres Strait could be a future World Heritage nomination. A number are already on various state government heritage lists. Similar nominations are appearing in other parts of the world, such as the recently-listed mixed site of Pimachiowin Aki, co-developed by the Ojibwe (Anishinaabe) peoples “in the heart of Canada’s boreal forest” – not least because of precedents set by Australia over the years. Detail of a fish (likely black bream) on Enderby Island. The West Australian government has committed to pursuing a World Heritage listing for the rock art of Murujuga. Murujuga is the Aboriginal name for the Dampier Archipelago and the Burrup Peninsula in north west WA and is home to at least a million individual works of art. Australia has some of the world’s richest and most diverse rock art. While rock art is found all around the globe, Australia is relatively unique because here there are still cultural connections between rock art and the people who created it. At present, Australia has only three cultural World Heritage sites (of which only one – Kakadu – is listed for rock art). In contrast, France has over 30 World Heritage-listed rock art sites. I and my colleague Peter Veth have argued that Murujuga rock art meets three criteria for outstanding universal value: because of the creative genius and skill of the artwork; the extraordinarily old and continuous engraving tradition; and the combined cultural landscapes of the area, including quarries, living sites, and shell middens. These illustrate significant transitions in human history in the face of major changes in sea level and surrounding environment. The boulders of Murujuga are home to more than a million works of rock art. When people first started using this landscape 50,000 years ago, it was located around 100 km from the coast. It was wetter and warmer than it is now – and the archaeological record of the coastal plain at this time demonstrates an entire group of animals no longer found in this part of Australia. Murujuga’s artists painted some of these animals, such as crocodiles. Then, during the last ice age (between 30,000 and 18,000 years ago), the coastline was even further away (160 km). People were were living in the Murujuga Ranges at this time. There are a number of paintings of animals that are now extinct, such as thylacines and a fat-tailed species of kangaroo, which testify to the changing environment. Speared fat-tailed kangaroo positioned on irregular boulder; Dolphin Island. Then, as the ice caps melted and the sea level rose, people became more concentrated on the new coastal landscape. Recent studies across the archipelago have demonstrated the scientific significance of the outer and inner islands of this cultural land and seascape. Around 8,000 years ago, people began to construct houses. Art production at this time was in full swing. The most recent rock art includes dugong, turtles, fish as well as the small rock wallabies and quolls that now live on the islands. Fish depiction (likely black bream), Enderby Island. As well as houses there are myriad stone arrangements, standing stones and terraces. This is a monumental hunter-gatherer-fisherperson landscape, which rivals the period in Europe when people were constructing stone monuments such as Stonehenge (except in Europe this occurred thousands of years later). The artworks in Murujuga were made on the rocks using stone tools. Together they show how people have been living in the region for thousands of years, first as hunter-gatherers, and later with a focus on fishing. This rock art is still associated with contemporary traditions, ideas, and belief systems of traditional custodians. It is the widely-held belief that many Murujuga engravings represent and embody ancestral beings (Marga), while some of the standing stones are thalu sites, critical for the regeneration of key species such as a range of fish, birds and kangaroo, and even sandflies. Five local Aboriginal groups hold native title in lands next to the archipelago – the Ngarluma, Yindjibarndi, Yaburara, Mardudhunera and Wong-gg-tt-too. Together, they are represented by Murujuga Aboriginal Corporation, which jointly manages Murujuga National Park with the WA state government. The peninsula and the islands are also listed as having National Heritage values. This listing excludes parts of the peninsula that have been previously damaged by industry. National Heritage listing paves the way for Murujuga to become a World Heritage site. Recently, traditional custodians and others came together for a summit in Karratha and concluded resoundingly that World Heritage listing would be appropriate for Murujuga, and that it would help protect this extraordinary place. Author Tim Winton also joined the push for World Heritage status. Yesterday’s announcement is a significant moment for WA – which doesn’t have any Aboriginal cultural sites listed as World Heritage. And for the traditional custodians, it is the next step in their quest for recognition and greater protection of this place’s special significance. Placing Murujuga on the Tentative List is the beginning of the formal process to achieve World Heritage status. This will still take several years, but as the CEO of the Murujuga Aboriginal Corporation, Peter Jeffries, said yesterday, the traditional owners are now driving the process. There is systemic discrimination against Aboriginal heritage in Western Australia. This does not come from a racist administrator somewhere who hates Aboriginal heritage, but from the evolution of the institutions, rules and conventions that make up cultural heritage management. Western Australia manages the heritage sites of Aboriginal and non-Aboriginal sites through different institutional channels, under different laws. This system is now providing much higher levels of protection for non-Aboriginal heritage. There are several obvious imbalances. Should the Aboriginal Heritage Amendment bill that’s currently before parliament be passed, the maximum penalty for an individual illegally disturbing a non-Aboriginal heritage site will be A$1 million and two-years imprisonment, but for an Aboriginal site it will be A$100,000 and 12 months imprisonment, doubled on a second offence (it is currently A$20,000 and imprisonment for nine months, increasing to A$40,000 and two years for a second offense). Less obviously, since Colin Barnett’s government took office in 2008 it has gradually reduced protection by reinterpreting definitions within the Aboriginal Heritage Act 1972 to severely curtail the number of new sites. To date, some 1,262 sites have been blocked from gaining protection. In 2012 the definition of “sacred” was reinterpreted to only include sites “devoted to a religious use rather than a place subject to mythological story, song or belief” – leading to the deregistration of 35 sites. This was found earlier this year to be a “misconstruction” by Justice John Chaney in the Supreme Court of Western Australia. 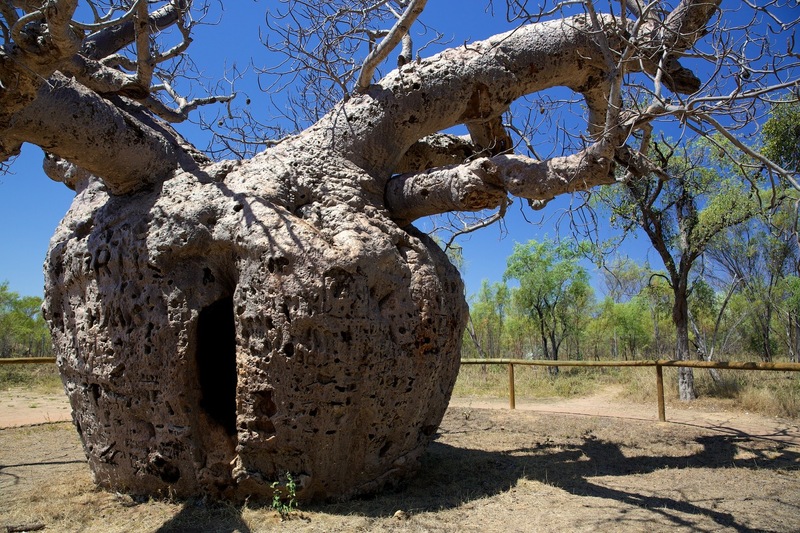 Dreamtime stories have long been and continue to be considered sacred to Aboriginal people. Furthermore, a recent report by UWA archaeologists indicates that more than 3,000 Aboriginal heritage sites have lost registration status as part of sweeping changes in classifications in the Aboriginal Heritage Register. At no stage have Aboriginal custodians been notified about the changing status of their heritage. Larrkardiy, a boab tree also known as The Prison Tree, is protected under the Aboriginal Heritage Act 1972. For many years Aboriginal heritage has been protected through the Aboriginal Heritage Act 1972. Non-Aboriginal heritage gained greater protection than Aboriginal heritage when the Heritage of Western Australia Act 1990 came into law. Together, these two acts are the legal basis for Western Australia’s system of cultural heritage management. They have very different origins and historical arcs. The Heritage of Western Australia Act was the result of 30 years of lobbying by Western Australians who were concerned about the destruction of important heritage starting in the 1950s. Due to its incorporation into the Planning and Development Act 2005 and the obligations it places on local government, it is well integrated into the Western Australian planning system. Currently the government is pursuing amendments to the Heritage of Western Australia Act to provide greater transparency in decision-making, clarify terminology and create a new repair order power. The second channel of cultural heritage protection, the Aboriginal Heritage Act 1972, was created after outcry in 1969, when a prospector began mining and selling sacred stones from the Weebo site. 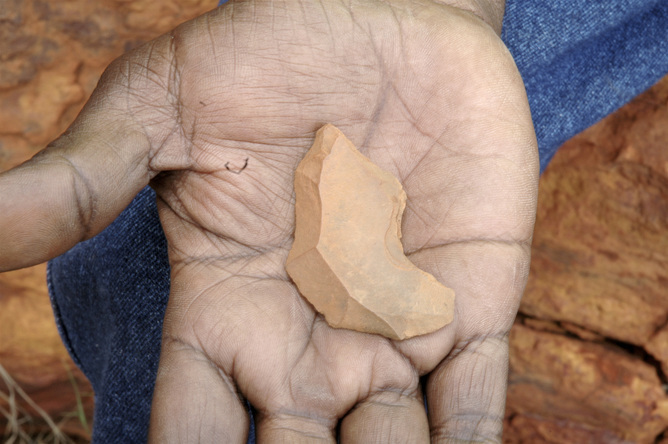 An Aboriginal Stone tool (chert knife), discovered in excavations at the Djadjiling rock shelter at a Pilbara mine site in Western Australia. Despite being celebrated, the Aboriginal Heritage Act has never provided complete protection from resource extraction. In 1980, Western Australia Premier Charles Court controversially gave police protection to a convoy of oil drilling rigs, which forced their way onto sacred land. An independent body of experts established by the Act, the Aboriginal Cultural Materials Committee, may consider applications to disturb heritage. Between 2001 and 2007, 488 applications were considered and permission to disturb heritage given 480 times. The Aboriginal Heritage Act 1972 is not mentioned in the Planning and Development Act 2005 and is less integrated into Western Australia’s planning system. Aboriginal heritage is generally not listed on local government municipal inventories of heritage and most local governments consider the protection of Aboriginal heritage a matter between a developer and the State government. The Aboriginal Heritage Amendment Bill 2014, currently before parliament, has drawn criticism from Western Australia member for parliament Robin Chapple, who, amongst many others, has argued the changes will decrease transparency in decision making and democratic oversight. The key provisions give the chief executive officer of the Department of Aboriginal Affairs the power to declare “there is no Aboriginal site on the land”. Extraordinarily, the proposed amendments would allow developers to appeal if their applications are rejected, but make no provision for Aboriginal custodians to appeal the CEO’s decision. The proposed amendments do not address the most glaring inequalities in the dual systems. In addition to the heavier penalties for illegally disturbing non-Aboriginal heritage sites, non-Aboriginal heritage is managed by the Heritage Council in concert with local government and planning authorities, while Aboriginal heritage is managed by a small section within the Department of Aboriginal Affairs. Perhaps most significantly, the end of Aboriginal use or presence of non-Aboriginal use at an important archaeological site could potentially bring it under the Heritage of Western Australia Act. This would paradoxically give it a higher level of protection and management. This goes against Australia’s guiding heritage principles that place great emphasis on continued use. The first step towards a fairer system is a new understanding of where we Western Australians live. Western Australia has enjoyed at least 50,000 years of Aboriginal inhabitation. We need to recognise that Aboriginal connection and heritage is ongoing and will continue to exist within our cities, our suburbs, our towns, our parks, our yards and our farms. We need a system of cultural heritage management able to cope with this recognition. Recognition and management of this heritage needs to be, through an inclusive planning process, integrated into the a single system. With amendments to both acts now before the Western Australian parliament, now is the time to exert political pressure. The status quo is now so unequal that it is untenable. The only solution is a holistic and inclusive approach to Western Australia’s system of cultural heritage management. Tod will be on hand for an Author Q&A between 11am and noon WST on Tuesday, December 8, 2015. Post your questions in the comments section below.